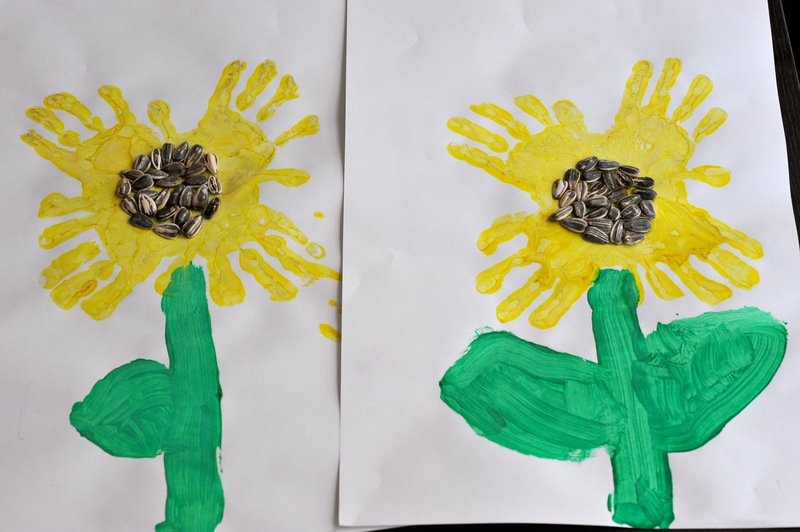 I simply painted my boys hands with the yellow paint and lightly pressed their gooey fingers on the paper to make a hand petal! I repeated this four times in opposing directions to mimic the shape of a flower. I then let them paint their own stems and leaves. 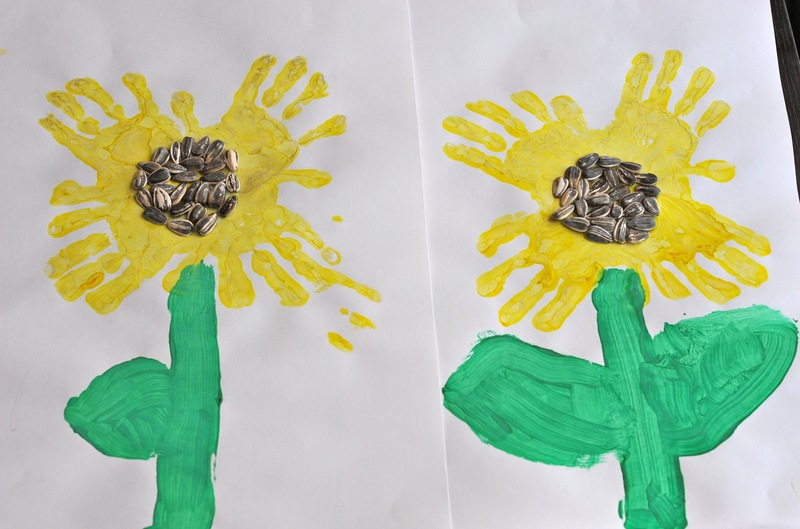 Once our pictures had dried we used white glue to attach a few (don’t worry Daddy) of Mister’s sunflower seeds to the center of our flowers… Viola, handprint sunflowers! I think we’ll keep these up all summer, they are so sunny!